Auto accidents during the day are less common than auto accidents at night, largely due to lower visibility, driver fatigue, and an increase in drunk drivers populating the road. Even the most alert and careful drivers can suffer serious injury at the hands of an irresponsible motorist. Regardless of when they happen, auto accidents of any kind can cause lingering physical and mental anguish. Personal injury attorney Joe Horrox in Daytona Beach, FL has successfully represented injury victims for over three decades. He has a track record of winning compensation for his clients. Low Visibility: About half of all road fatalities happen at night, despite the fact that merely 25 percent of travel takes place after dark. Part of the reason why is intuitive - it is harder to see. With normal headlights, your nighttime visibility will likely be somewhere around 200 feet. This means you will have substantially less time to react to what is happening around you than you would during the day, especially if you are traveling at a high speed. Minimizing your speed and eliminating distractions are important in reducing risk. Fatigue: Studies have shown that one-third of drivers have fallen asleep behind the wheel at least once. Of those drivers, about one in eight do so as frequently as once a month. Fatigue is not only an issue during long road trips, although driving for extended periods does not help. Lack of sleep, long work hours, and sleep disorders all contribute to this problem. Try to avoid driving more than two hours at time and remember to take breaks. Do not tailgate: Keep a safe distance between your car and the car in front of you so that if the car stops, you have enough room to stop and avoid a rear-end accident. Keep it clean: Visibility is compromised by a dirty windshield. You should clean your windshield and windows regularly to minimize the glare from other headlights. Also, it is wise to routinely clean your headlights to ensure maximum visibility in front of you. 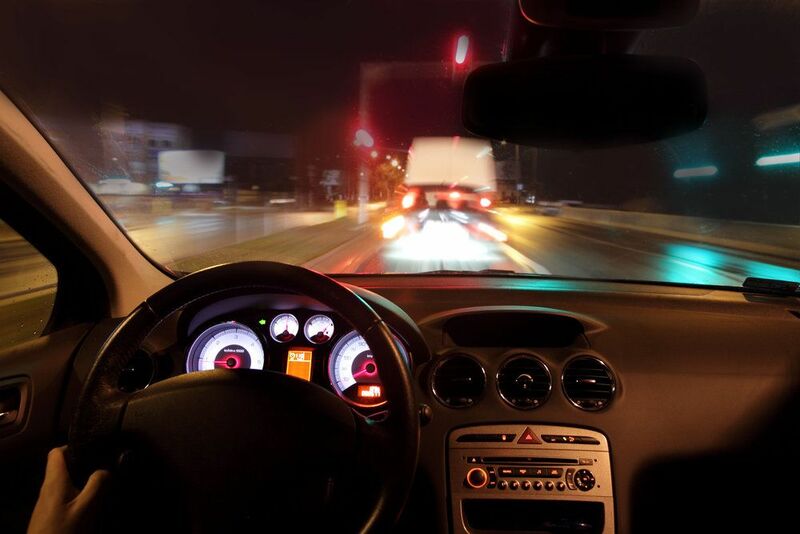 Limit distractions: Staying focused and alert is paramount at any time of day, but with limited visibility at night, it is that much more important. Keep the radio volume low so you can hear what is happening around you and try to keep conversation to a minimum. Dim your dashboard lights: If your dashboard lights glow brightly, you will have a harder time seeing outside than you would otherwise. If you have been injured in an auto accident on account of another driver’s error, contact personal injury lawyer Joe Horrox right away. To schedule a free consultation, visit us online or call (386) 258-2121 today.